Former member of AKB48's Team K (graduated June 9, 2014). pete Jun 09 2016 10:45 am I am late to AKB48. I watched Yuko and then the later dancers and singers. 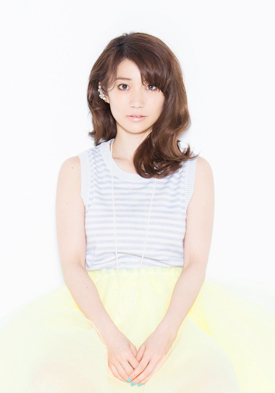 Without a doubt nobody can replace Yuko. She is beautiful and she has the most beautiful eyes and smile. When I watch her I am filled with energy. Yuko I really love you. I hope you continue to be in films and make lots of money-you deserve it!!! Forever a fan. Rin Nov 14 2015 11:36 am Best AKB48 member ever! Hope you are doing well on your acting career! Louise Dec 24 2011 4:20 am Yuko . I really really like you .. I like you when you and you groupmate perform Heavy Rotation .. I really like when you lead the performance ..
nola May 31 2011 8:43 pm hi yuko,what up,this is Nola ,remember when u came to Trinidad ,i will like no know how are you going and your boy friend ,i will like to know when are you all coming to Trinidad ,we all miss you ,and we hope you are fine ,we did all have fun when you had came to our house and we cook ,ate and have a nice time .